This is the mini of mini albums and boy is it cute! What makes it extra cute? 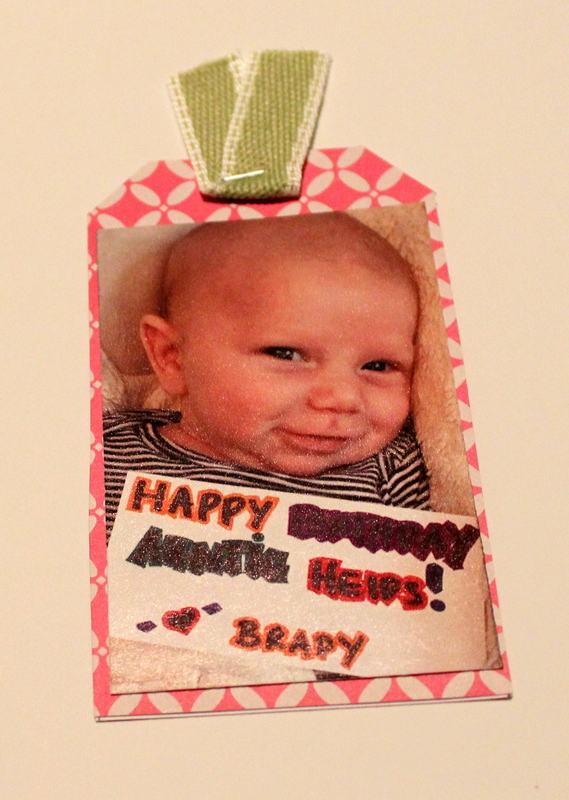 The adorable baby at the center of it all – Mr. Brady! I think I’ve mentioned my coworkers have the cutest babies ever in a previous post. Well this little guy is a nephew, so he’s part of the work family. 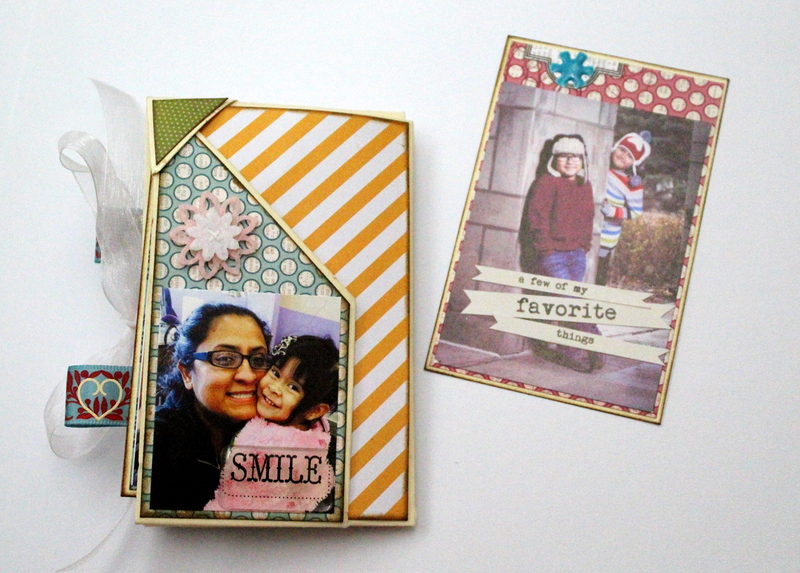 This one sheet wonder was probably the first mini album I found that you could make, but I didn’t think it had as much dimension as the other ones I have already blogged about. However, I think I might be wrong about my first impression. 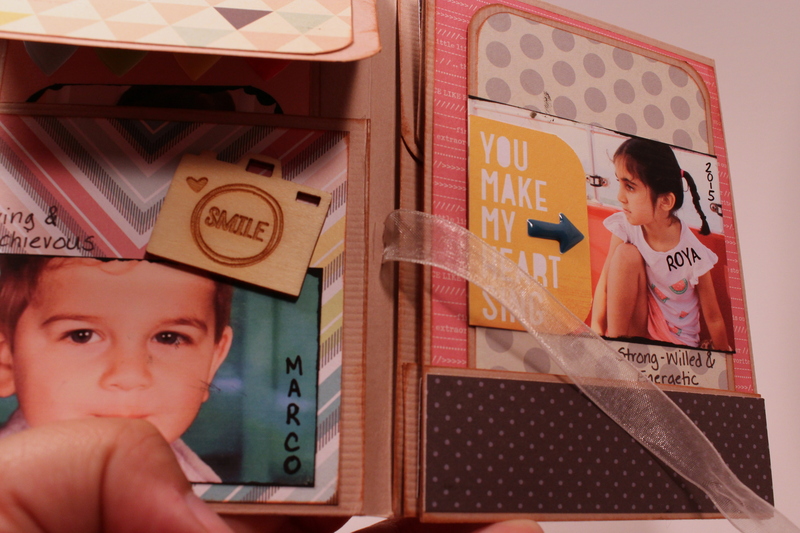 This mini album fits in the palm of my hand – measuring 3 inches x 3 inches and it’s super sturdy. 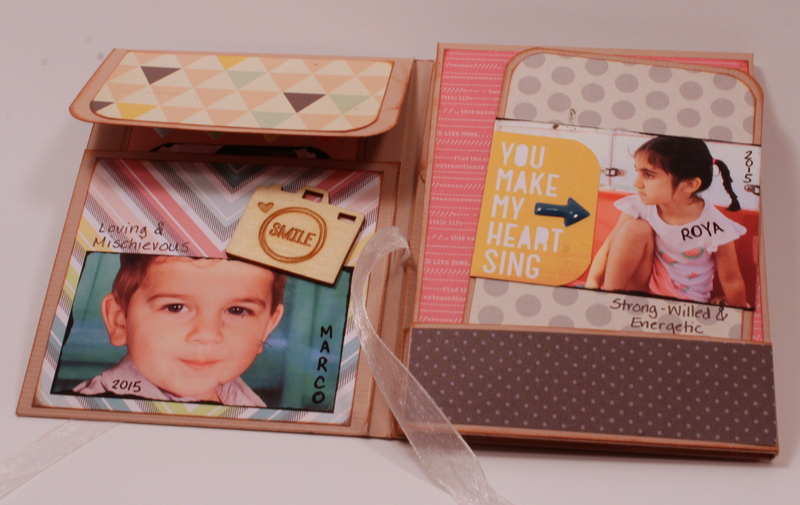 To make your own mini album, you can watch the video tutorial I used here. I will warn you that she made a mistake when pre-taping the album, so don’t add tape until you watch the whole video. I found it easier to tape after I folded the album competely. Depending on how you choose to secure the folds (meaning which direction is the inside of the album versus the outside), you can have more pages than I have in this album. I chose to use the lesser amount of pages and I’m glad I did! I had to be really careful not to over-embellish the album because it started to get chunky. 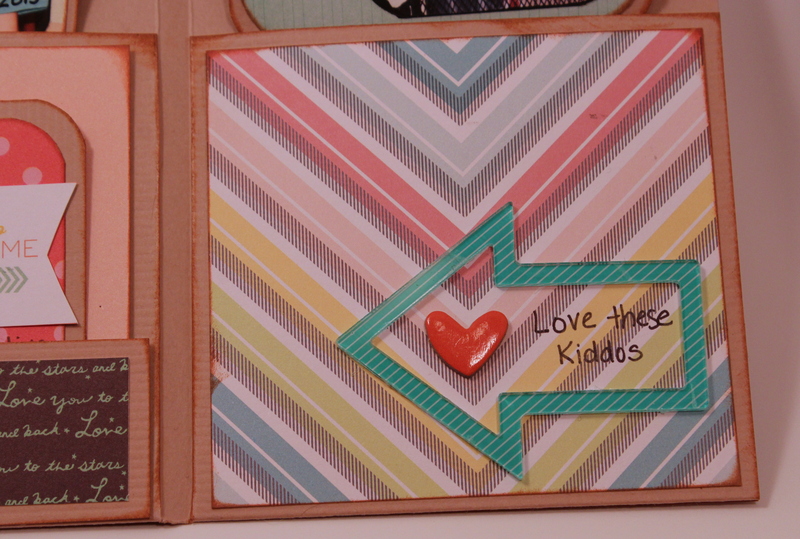 The tags add a lot of oomph to the thickness of the album so it’s best to use stickers and doodling to embellish your pages if you don’t want to have to create a belly band to keep it closed. It’s a pretty quick mini to make. The hardest part was finding the right amount of photos and coordinating papers. In totality, this album probably took me 2 hours to make once I gathered all my supplies. I spent most of the time resizing photos and choosing what embellishments I wanted to use as opposed to the actual assembly. 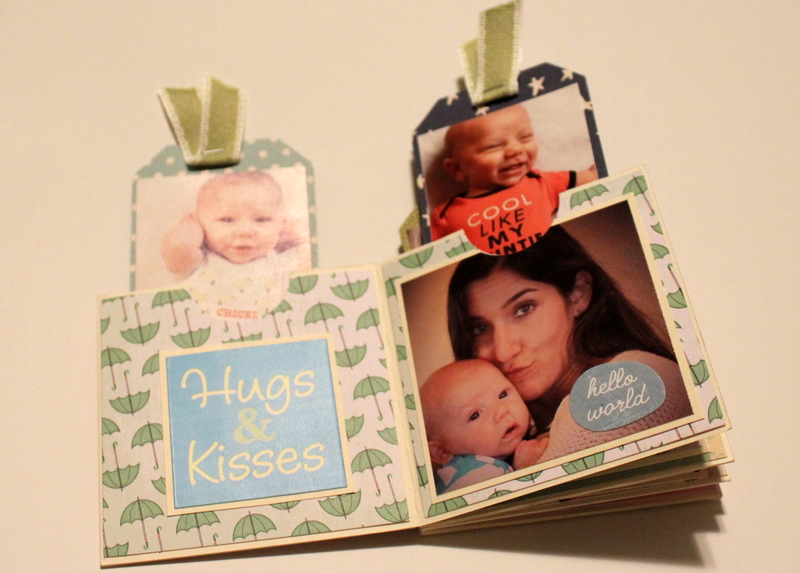 In fact, I may or may not be bothering my friends for photos because I want to make them one for each of their kids at the upcoming Scrapbook Expo. Peekaboo tags are tucked in each of the pages. I love this special moment between mom and baby Brady. This picture is my absolute favorite. This is Brady and his 100 year old great grandfather. Grandpa is beaming!!! This photo just cracks me up. I love that you can see his personality already! How can you not want to squeeze this little face! 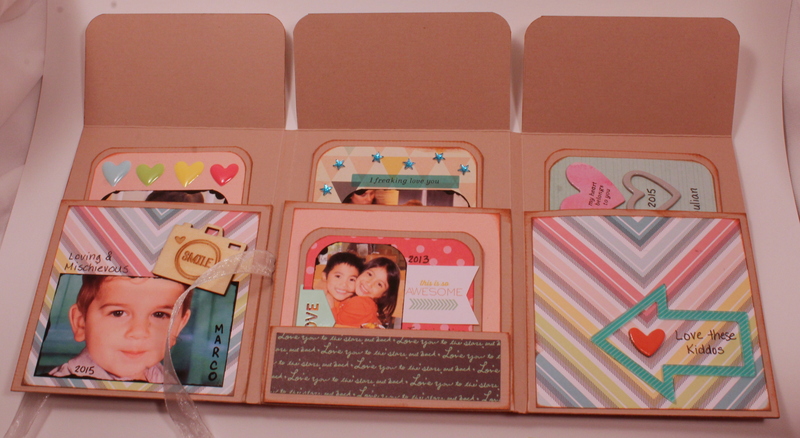 It’s official….my friend Kelly has lit a crafty storm and I LOOOOOVE it! 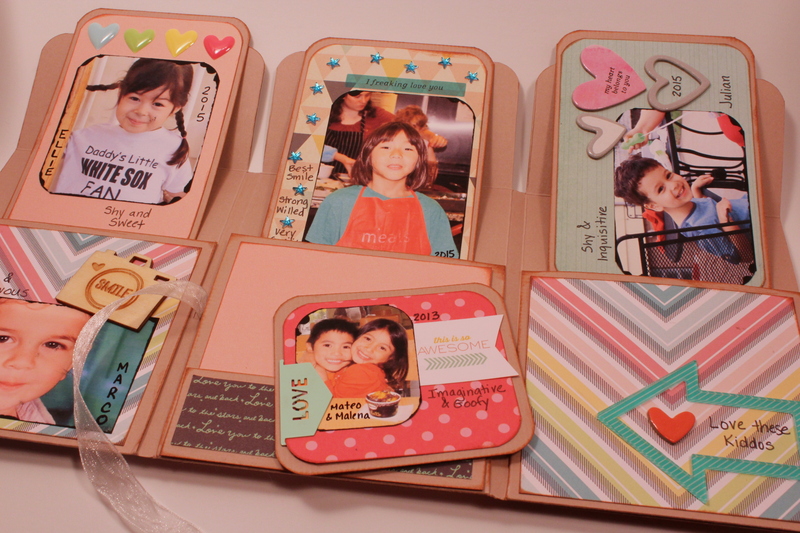 After having participated in her mini-album blog hop, I became obsessed with creating one page wonders. 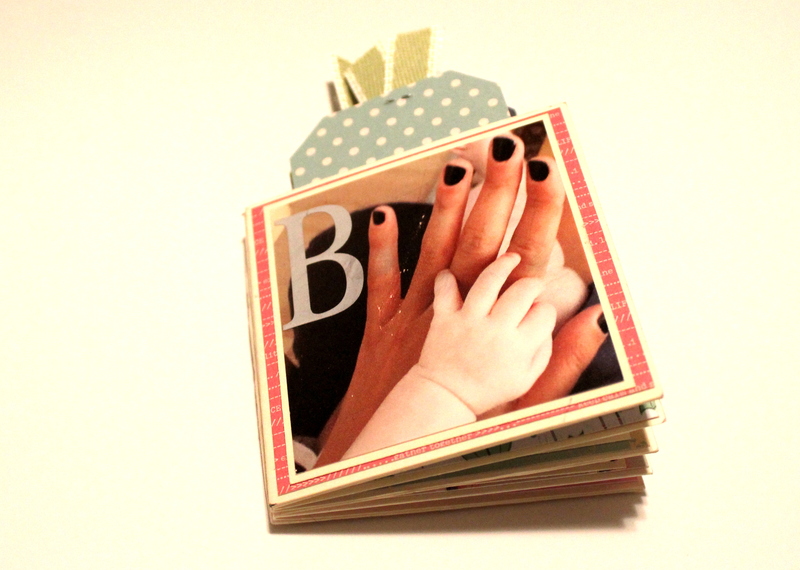 I mean, how fun is it to use one 12×12 inch piece of paper to create the base of an mini scrapbook album? For a girl that has a wall of paper (literally), the potential to make thousands of mini-albums exploded in imaginary sprinkles of glitter. If you know me, you know I prefer imaginary glitter over the real stuff! I started to do a little digging on Pinterest and soon realized that there were many different one-sheet wonders. Can you picture the confetti of glitter in my mind at this discovery?! One of the albums I discovered didn’t require ANY paper cutting to create the base. It was all folds and it had several pockets to tuck away special memories. 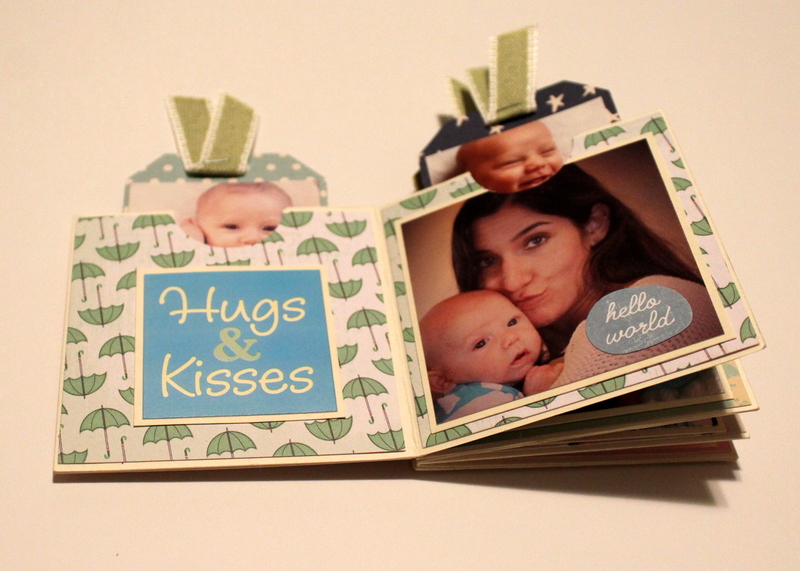 I couldn’t believe how many pockets were possible and was giddy to fill it with cute pictures. Thankfully, my colleague has a set of the cutest nieces and nephews so I had plenty of pictures to use in my first attempt at this album. Regrettably, she loved it so much that she gave it to her sister who was having a really bad week. Guess I’ll now be forced to create another one (cheer cheer for more crafty time!). 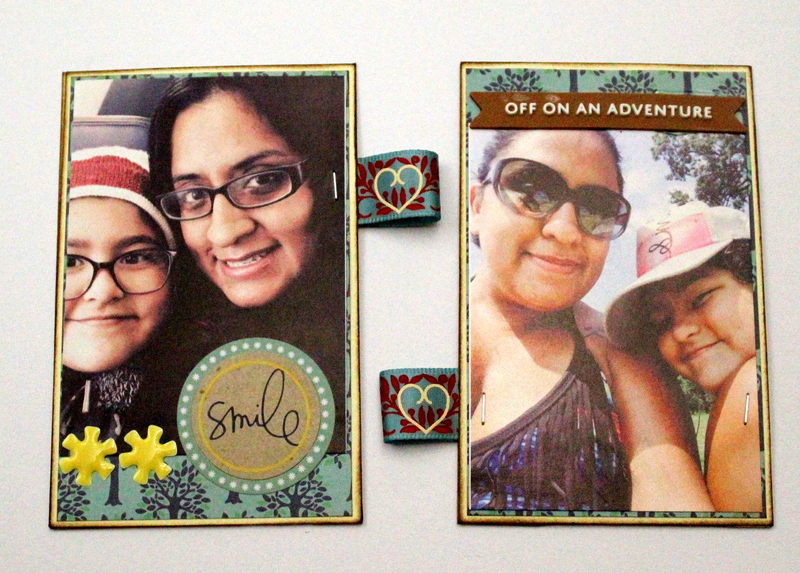 Since launching my new blog, I realized that I have so far failed to post something crafty. Considering I’m the papercutting nerd, it’s pretty surprising. 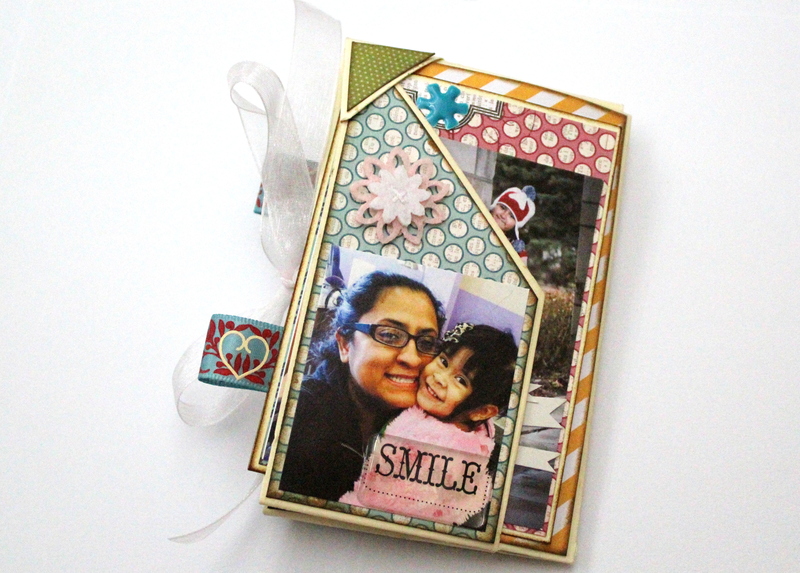 Thankfully, my friend Kelly had a great idea to do a mini scrapbook album blog hop to get my creative energy focused. When Kelly approached me with her idea, she said I could post an old album. 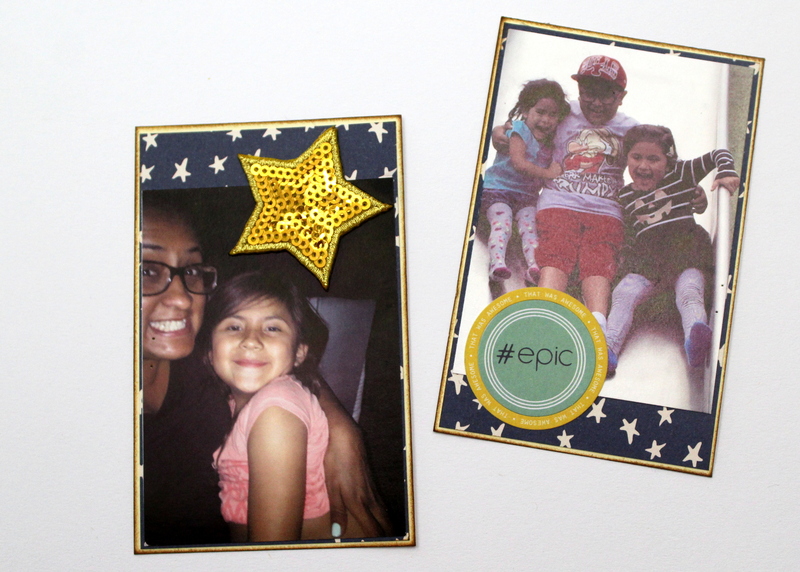 As the time got closer to for the blog hop, I had every intention of copping out and putting up an old favorite. However, the universe has a funny way of making you change your plans. You see, the album I wanted to share was on my old business website that I have since deleted. I didn’t save the photos because I never thought I would need them! I was forced to pull out my materials and start fresh. I feel I’ve been in a creative slump because I haven’t taken the time to to focus on my art. I’ve made other great personal changes but have let this great joy sit on the back burner. I was terrified I wouldn’t have enough time, and then I remembered I had a great pinterest board full of ideas (@nchaidez). I had a great one sheet album that I had been dying to make. 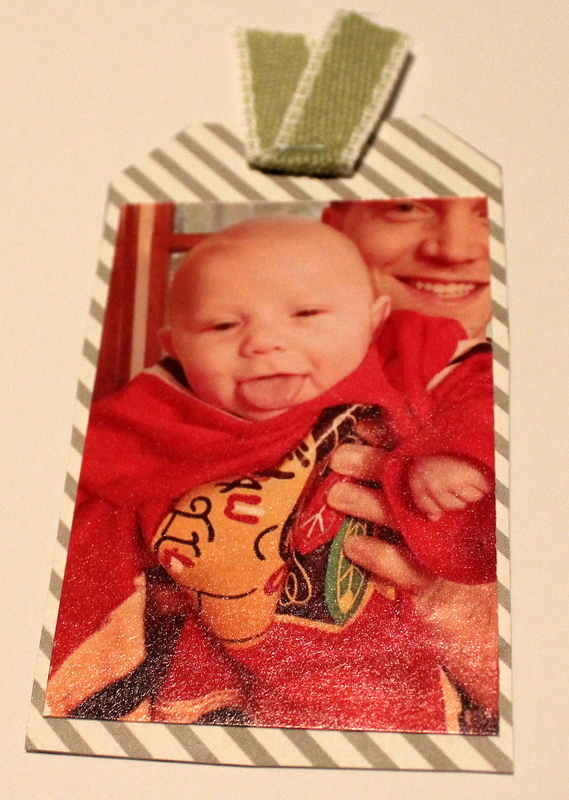 I then realized that I had also made a goal to make myself a scrapbook album before I turned 40. 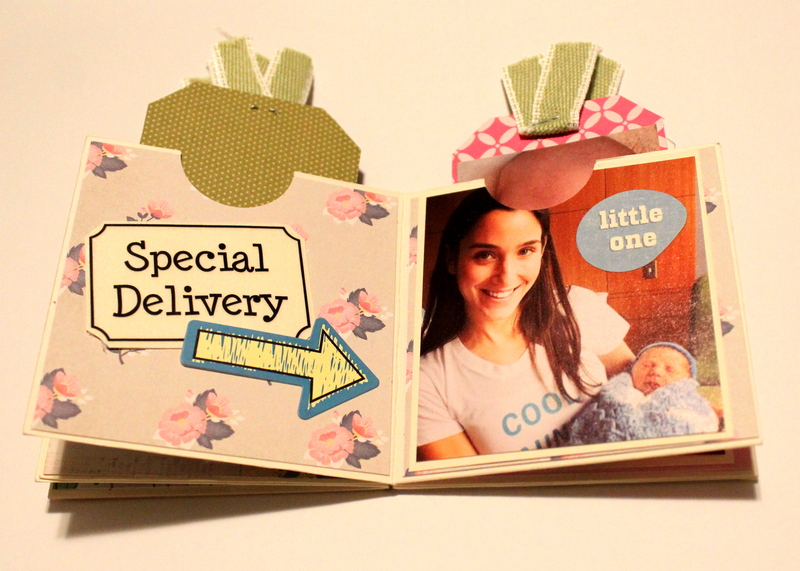 Having scrapbooked for over 10 years, can you believe I’ve never made myself an album?! The universe was SCREAMING at me to finally do it….so here it is! Please visit the album link for the scoring and cutting guidelines. The youtube video is easy to follow. 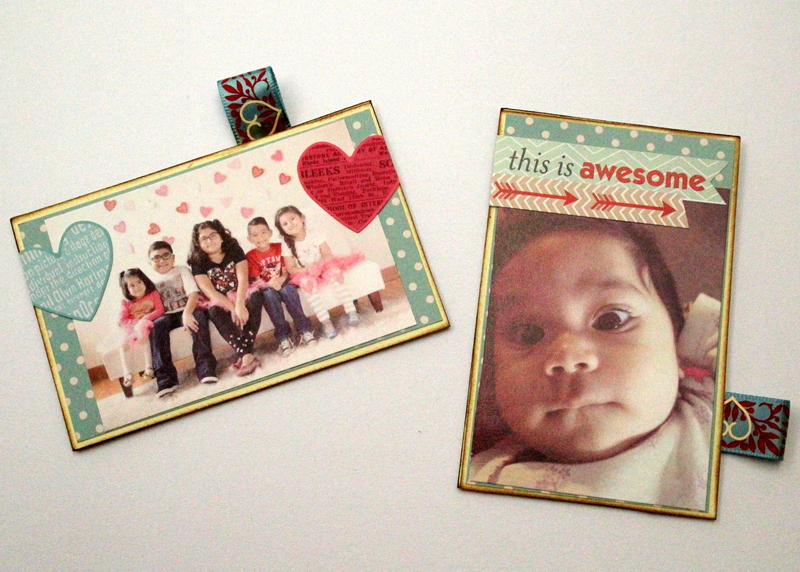 This little album showcases some of my greatest and cutest little loves. These are the beautiful children of my best friends and I’m so very very lucky to live near them so that I can have magical and fun moments. While I don’t have children myself, I adore these peanuts with every fiber of my being. I’m so happy to have finally created a little something for me that will remind me of why I love them all so much. 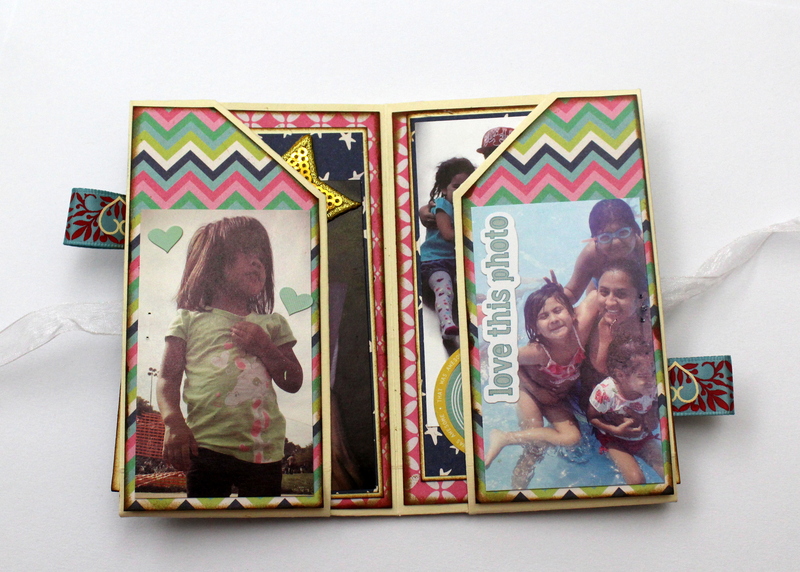 I tried not to make my album to layered to it would close easily, but my fun Freckled Fawn embellishments bulked it up enough that I had to include a ribbon belly band. 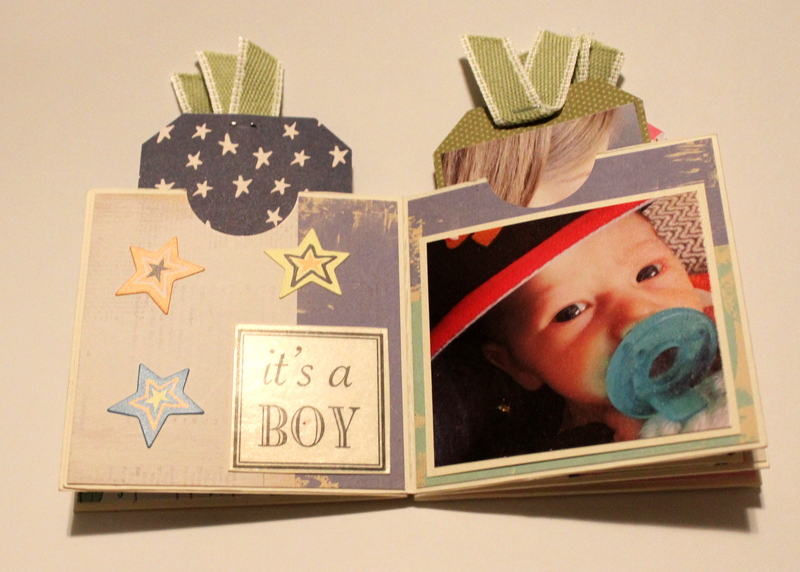 This album was so easy to make. The hardest part was deciding on the paper before choosing my pictures, but I just had fun with it! I love the flaps. 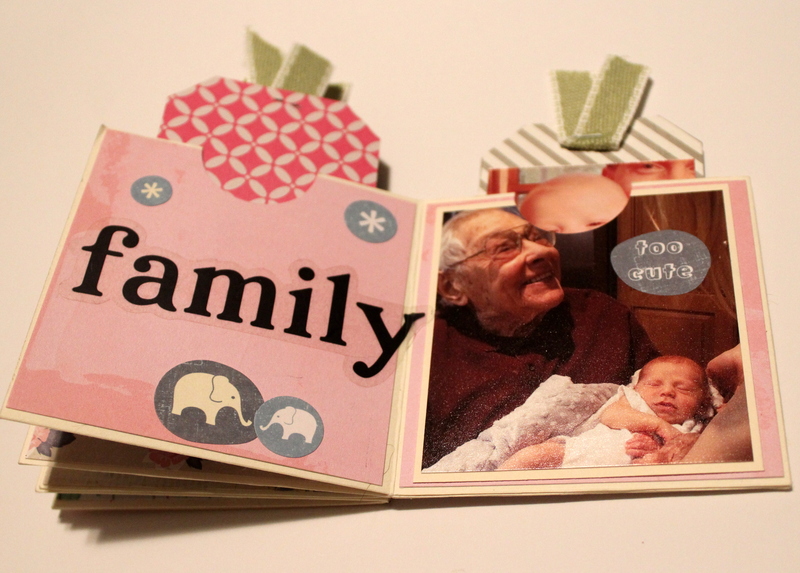 Had I had more time, I might have made one album per family so I could use spaces like the flaps to write more details. So many pockets for so many cute pics! I’m a girl that looooves layers, but I had to remember to keep the tags as flat as possible so that the album would close flat. Each of the tags comes right out. 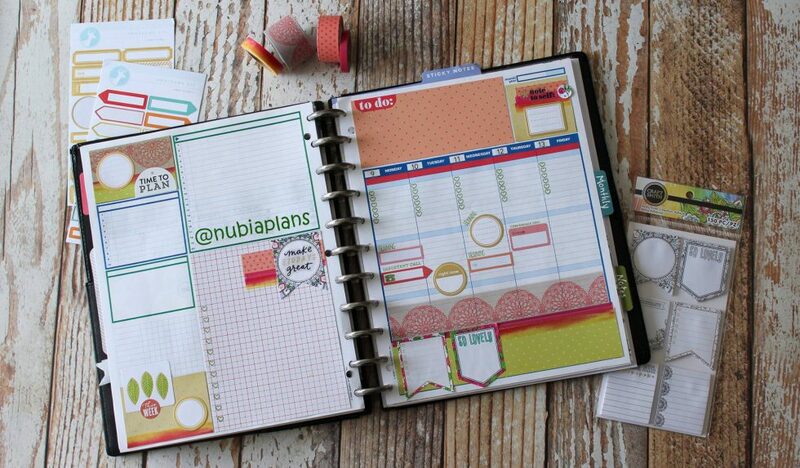 I only created layouts on one side, but it’s possible to do both sides or to journal on the back. 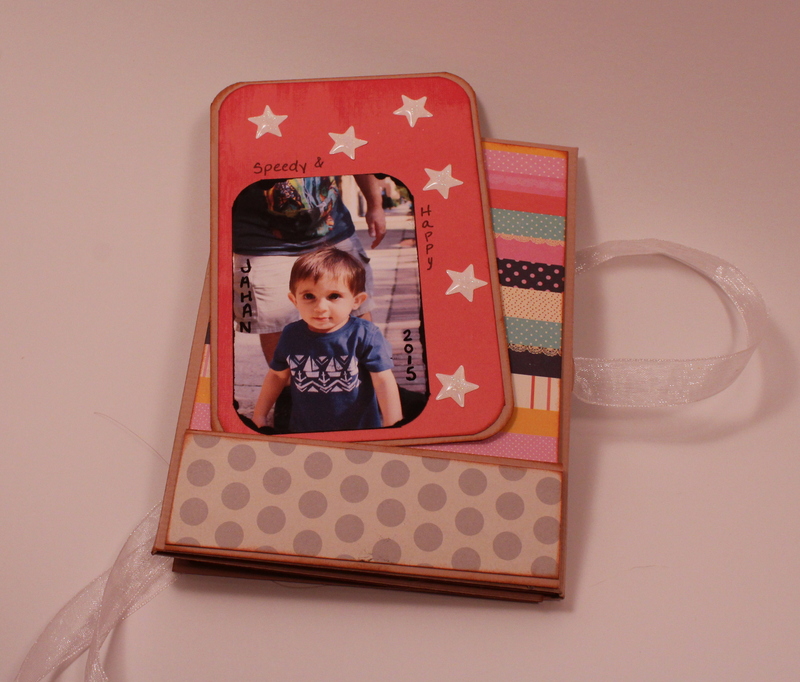 To add the ribbon belly band, I used an exacto knife to create a slot for the ribbon. Describes exactly how I feel. 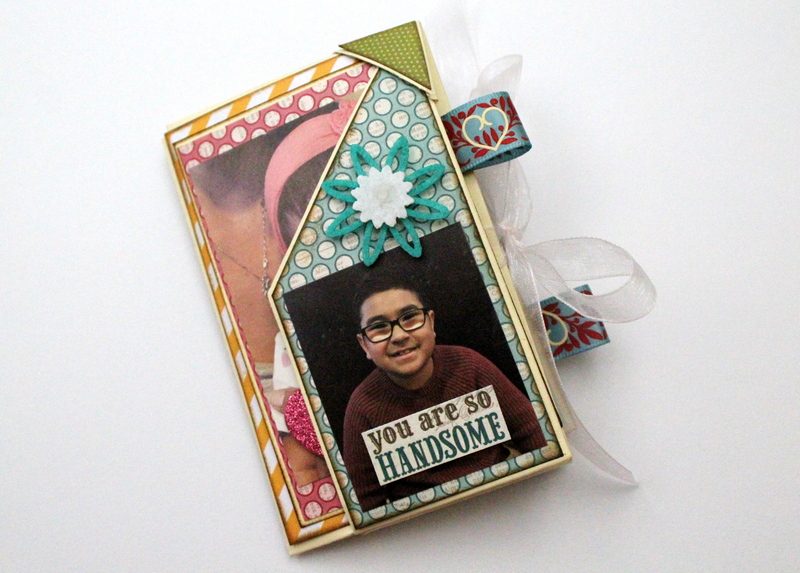 The adorable and bright backgrounds papers are from Dear Lizzy 6×6 paper packs (Lucky Charm and 5th & Frolic). 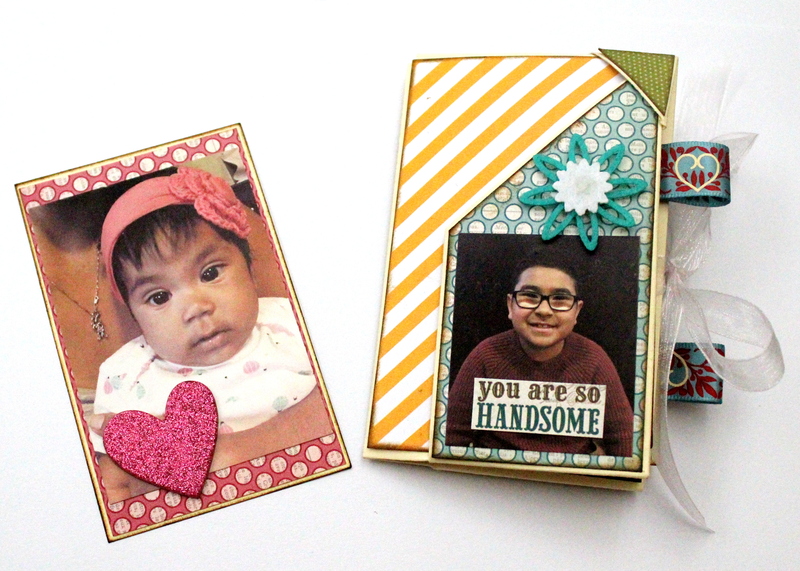 All my embellishments are from Freckled Fawn which bring me to my giveaway. 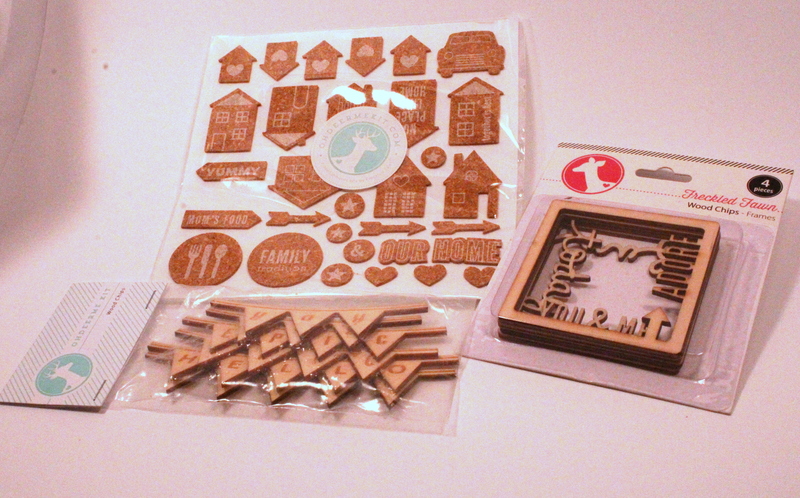 Please leave a comment below for a chance to win some of my favorite Freckled Fawn embellishments. They are simply the best. 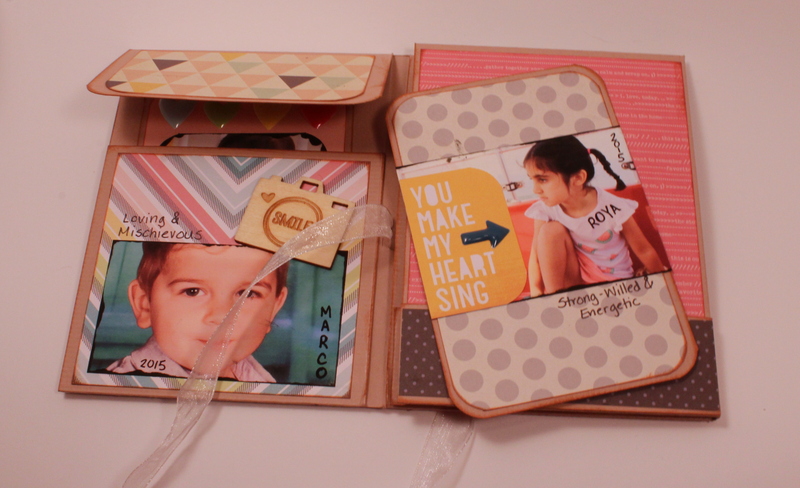 If you love washi tape….they have the best variety and incredible quality. They also have a monthly kit club for those of you (like me) that are paper hoarders and never seem to have any embellishments! The winner will be selected randomly on Friday, July 25th! 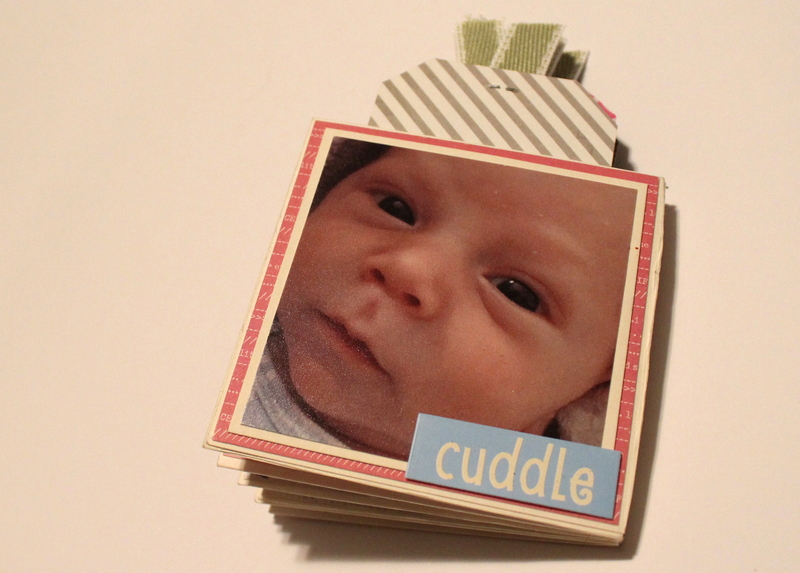 To see some of the other incredible mini albums, please visit the blogs of my fellow crafters. I’m highlighting where I am in case you wanted to go to the next person on the list (Beth) and continue in a loop.